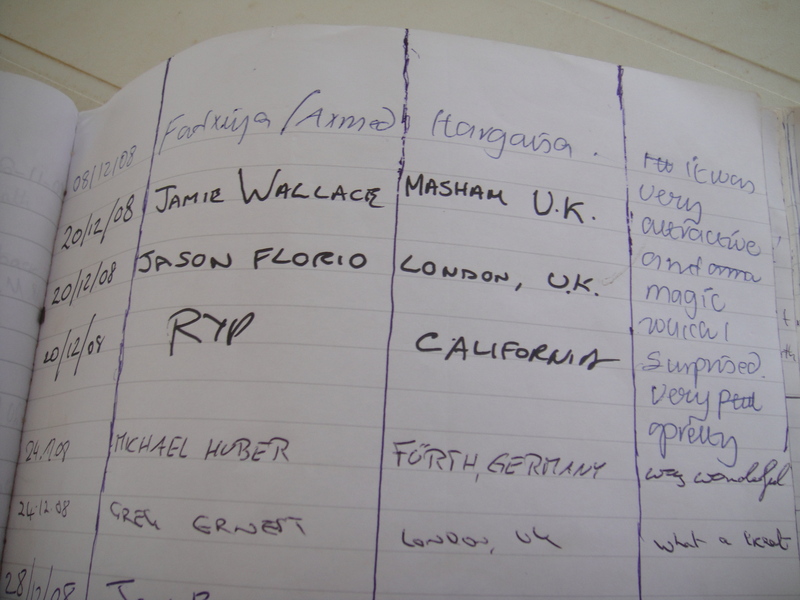 When my Italian and I visited Las Geel, I took a look at the guest book and noticed this entry by “RYP” from California. I’m a fan of Robert Young Pelton and while there are undoubtedly others in the world with the initials “RYP”, how many of these individuals journey to places like Somaliland and refer to themselves by their initials? And doesn’t Robert Young Pelton live in California now? I’ll go over to the BFC after this post and ask him if it was him… That’d be pretty cool if it were (at least to me). Tags: Las Geel, Robert Young Pelton, RYP, Somalia. Bookmark the permalink.